Random tip: A hat, gloves and warm boots are recommended - UK nights can get very cold ! 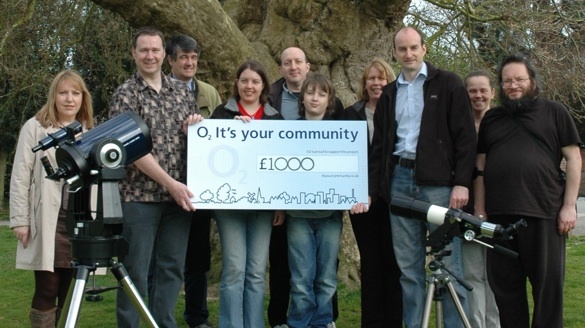 This generous donation by O2 will be used to purchase a high-quality data projector, larger projector screen, and exhibition display boards to support public astronomy events within the community. The nearby Nature Centre is hired by the Society for public events and night sky viewing. 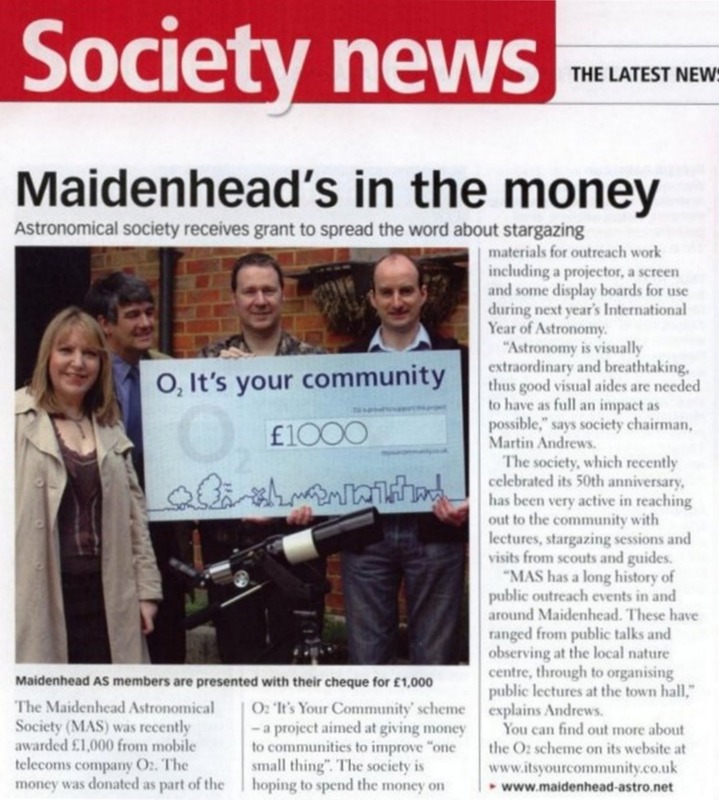 From the Chairman: "MAS has a proud record of public outreach and will continue to bring the wonders of the universe to the local community. The presentation equipment purchased with this award will provide much brighter images with more contrast, and more static display space to enhance the whole experience". This note last modified: 19th Jun 2015 06:59. This page last modified: 21st Apr 2018 16:56. Page Clicks to date: 4395. User 18.234.236.14 @ ec2-18-234-236-14.compute-1.amazonaws.com.